The Supreme Court on Thursday said it will hear on November 28 a fresh plea seeking to block the release of Sanjay Leela Bhansali's directorial "Padmavati" outside India. NEW DELHI: The Supreme Court on Thursday said it will hear on November 28 a fresh plea seeking to block the release of Sanjay Leela Bhansali's directorial "Padmavati" outside India. A bench of Chief Justice Dipak Misra, Justice A.M. Khanwilkar and Justice D.Y. Chandrachud agreed to hear the plea after the petitioner told the court that "grave damage would be done to social harmony if the movie was allowed to be released abroad". Advocate M.L. Sharma mentioned the matter before the bench for urgent hearing. The court posted it for Tuesday. The lawyer sought criminal prosecution of the makers of the film saying they misrepresented facts that the songs and promos were cleared by the Central Board of Film Certification (CBFC). Earlier, the court had dismissed Sharma's plea saying it was "premature" as the CBFC was yet to decide and any interference at that stage would amount to "pre-judging the matter". The apex court had said that the CBFC was a statutory body and court cannot give it directions on matters of film certification. 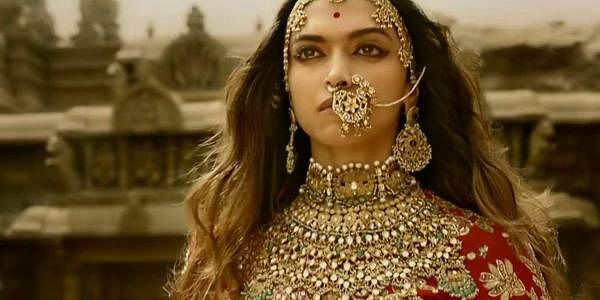 Sharma then sought to block the release of the film till the so-called objectionable scenes were deleted and a criminal case against Bhansali was filed for portraying Rajput queen Padmavati as a "dancer" in the film. "Padmavati" is mired in controversy over allegations that it distorts facts about Padmavati. Bhansali has been denying the contention. The release of the film, earlier slated for December 1 in India, has been deferred as the filmmakers are yet to secure a censor certificate. The British Board Of Film Classification (BBFC) has cleared "Padmavati" for release on December 1 but a source close to the film's makers said it won't release anywhere on that date.